UST operator training in Georgia is required by federal law and is intended to ensure that those who own and operate underground storage tanks understand how to operate and maintain UST systems properly. Georgia Class A operators have primary responsibility for on-site operation and maintenance of a UST facility. This individual is generally the owner of the station or the designee. For large corporations, this person is the manager or designee responsible for tank operations. Georgia Class B operators have responsibility for the day-to-day aspects of operating, maintaining, and record keeping of a UST facility. This individual (or individuals) is generally the owner or the person/company contracted by the owner to maintain the tanks. For large corporations, this person is the employee, or person/company contracted by the corporation to maintain the tanks. Georgia Class C Operators are the first responders to emergency situations at a UST facility – like a gas station or convenience store. These individuals are usually the clerks of a facility. The Georgia Department of Natural Resources (DNR) – Environmental Protection Division – Underground Storage Tank Management Program is designated to protect public health and the environment through oversight, investigation and cleanup of soil and groundwater contamination caused by releases from USTs. The Georgia The Underground Storage Tank (UST) Management Program is responsible for ensuring operational compliance and cleanup of leaks from registered UST systems. The Georgia Board of Natural Resources approved new environmental rules that required operators of underground storage tanks to demonstrate competency regarding how to operate their tanks in compliance with environmental rules. These rules went into effect September 25, 2009 and affected thousands of operators of UST systems in Georgia. All Georgia UST facilities (including those with tanks in temporary-out-of-use [TOU] status) must have at least one Class A and a Class B Operator. The Class A Operator and the Class B Operator may be the same person or they may be different people. If a facility does not have a certified Class A and B Operator, they cannot complete tank registration and will be in violation of the Georgia Rules for Underground Storage Tank Management. 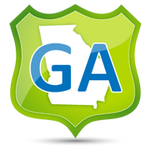 All active Georgia UST facilities must also have one or more Class C Operators. Each designated Class C operator may be trained by a Class A or Class B operator or complete a training course. The Class C Operator must be an employee that is physically present at the facility. Most UST facilities will have more than one Operator C.
Class A/B Operators must retrain every 7 years or if UST system is found to be out of compliance or in significant violation of UST regulations. Voluntary refresher training is encouraged to ensure operator is up-to-date with current regulations and procedures. Georgia Underground Storage Tank Act (GUSTA) – TITLE 12. CONSERVATION AND NATURAL RESOURCES – CHAPTER 13. UNDERGROUND STORAGE TANKS. We offer online UST operator training in Georgia for: Atlanta, Columbus, Augusta, Savannah, Athens, Sandy Springs, Roswell, Johns Creek, Albany, Warner Robins, Alpharetta, Marietta, Valdosta, Smyrna, Dunwoody, Mableton, Alpharetta, Avondale Estates, Johns Creek, and many more! Atlanta, Columbus, Augusta, Savannah, Athens, Sandy Springs, Roswell, Johns Creek, Albany, Warner Robins, Alpharetta, Marietta, Valdosta, Smyrna, Dunwoody, Mableton, Alpharetta, Avondale Estates, Johns Creek, and many more!